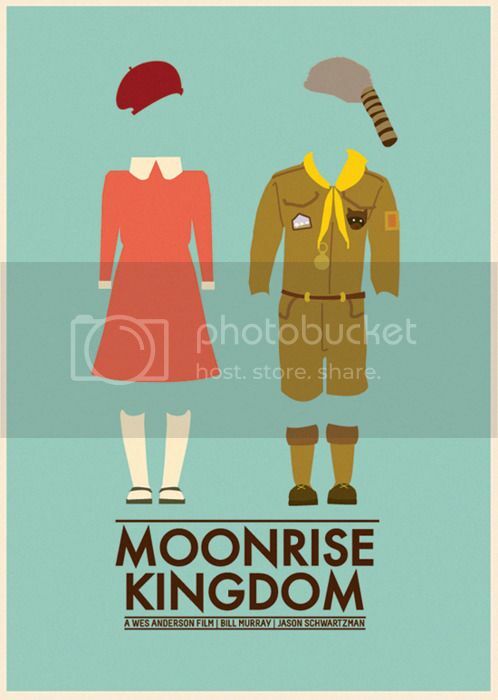 Set in a fictitious 1960s New England island, Moonrise Kingdom, is the whimsical telling of a love story between two prepubescent teens - one shy, slightly awkward Boy Scout, and the other a brooding, intense girl (both of whom were EXTREMELY WELL CAST), who embark on an escape from the island setting off a search party (of parents and a hilarious Boy Scout troop) and chain of events that follow. 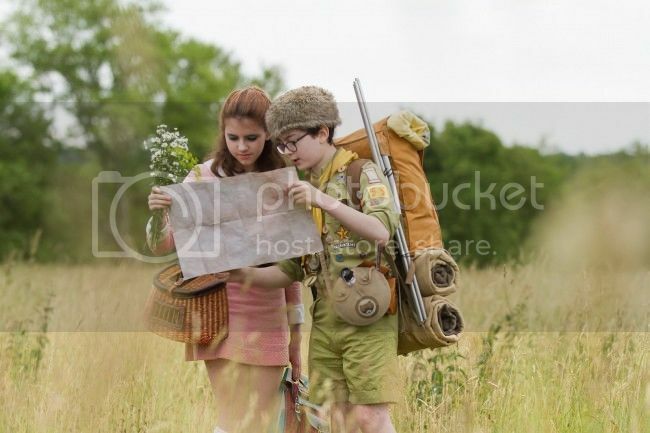 It's such a creative film - from the cinematography, to the film sets (full of gorgeous vintage props!) to (wait for it) the FASHION. It had a storybook feel to it and in fact, the entire movie seemed to revolve around a dollhouse world where so much seemed staged and theatrical - from the cardboard/two-dimensional nature of the houses, to the near-impossible scenarios that bordered on plain farcical... but it just created a whimsical world full of eccentricities and oddities that leave you wanting more. Plus, the soundtrack was a real winner. Part classical, part retro, always adding to the intensity and drama of each scene, some parts really made me wish I had the experience of childhood summers spent somewhere with broad expanses of grassy fields, sandy beaches, and a house with a gramophone to plug into and listen to old records to while reading on lazy afternoons. Especially with the dreamy, Polaroid-tinted wash of colors in each scene that gave it its vintage 1960s feel. Sigh. Why is it only Monday. 4 more days till Friday!!! i'm so sorry i haven't comennted on your blog recently, it's been a good while... and also i havent e-mailed you. so much to say, so busy to write. sorry ! but you know i send you hugs and kisses and greetings from summerly Krakow <3 ! short, easy words like "what about lunch?"